I have now received a response to my official FOI request concerning the “relocation” of Canada geese” from Victoria park Tipton. They decided as another act of cowardice to send it to my home address, rather than publicly post it on the WDTK website where everyone could read it. But we can soon fix that…..
1.Could you supply me with the following information. 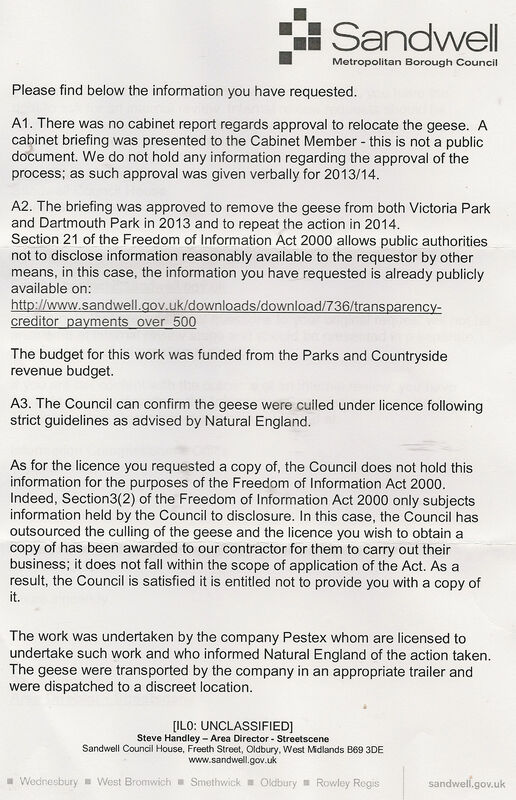 The cabinet report concerning the “relocation” of Canada geese from Victoria park Tipton and Dartmouth park undertaken by PESTEX last year in July. I cannot find any such document on your website, does it indeed exist? 2. 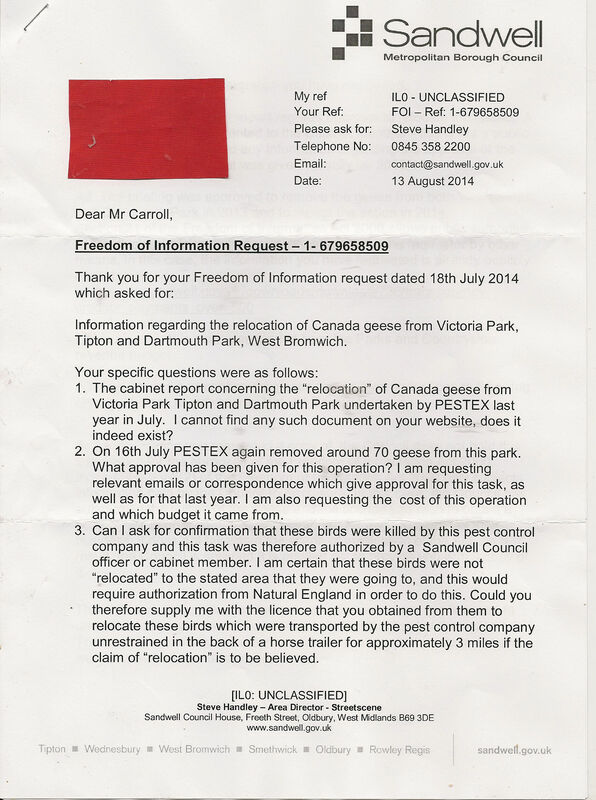 On 16th July PESTEX again removed around 70 geese from this park. What approval has been given for this operation? I am requesting relevant emails or correspondence which give approval for this task, as well as for that last year. I am also requesting the cost of this operation and which budget it came from. 3 Can I ask for confirmation that these birds were killed by this pest control company and this task was therefore authorized by a Sandwell council officer or cabinet member. these birds which were transported by the pest control company unrestrained in the back of a horse trailer for approximately 3 miles if the claim of “relocation” is to be believed. “A3 The council can confirm the geese were culled under licence following strict guidelines as advised by Natural England. As for the licence you requested a copy of, the council does not hold this information for the purposes of The Freedom of Information Act 2000. Indeed, Section 3(2) of the Freedom of Information Act 2000 only subjects information held by the council to disclosure. 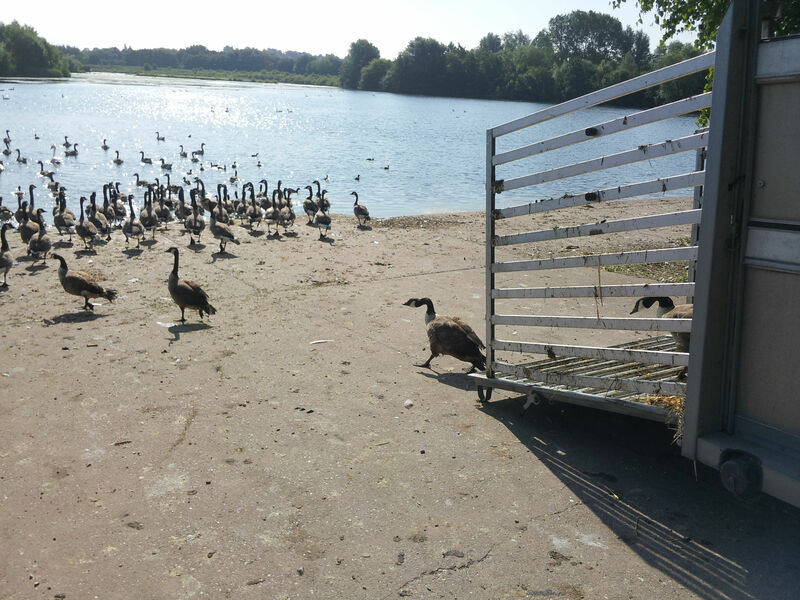 In this case, the council has outsourced the culling of the geese and the licence you wish to obtain a copy of has been awarded to our contractor for them to carry out their business; it does not fall within the scope of application of the Act. As a result, the council is satisfied it is entitled not to provide you with a copy of it. Why is the cabinet briefing not a public document? Probably because it does not exist, is devoid of any scientific evidence and probably reveals who was behind the cull- namely John Satchwell. According to this, Councillor Maria Crompton authorised this cull verbally, and again there is no public record of this it seems according to the response to question 1. The response is vaguely worded and does not answer the question. 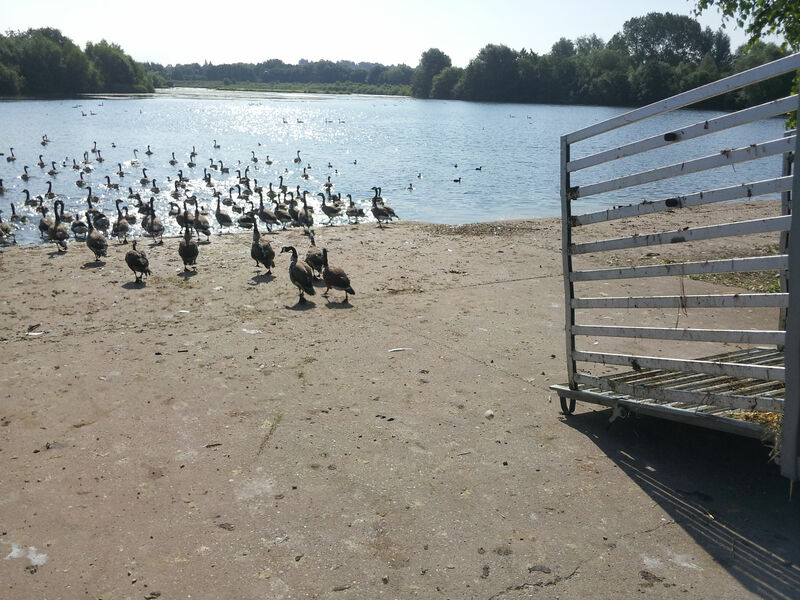 We had already obtained information from Natural England that they would not have authorised any relocation of geese. 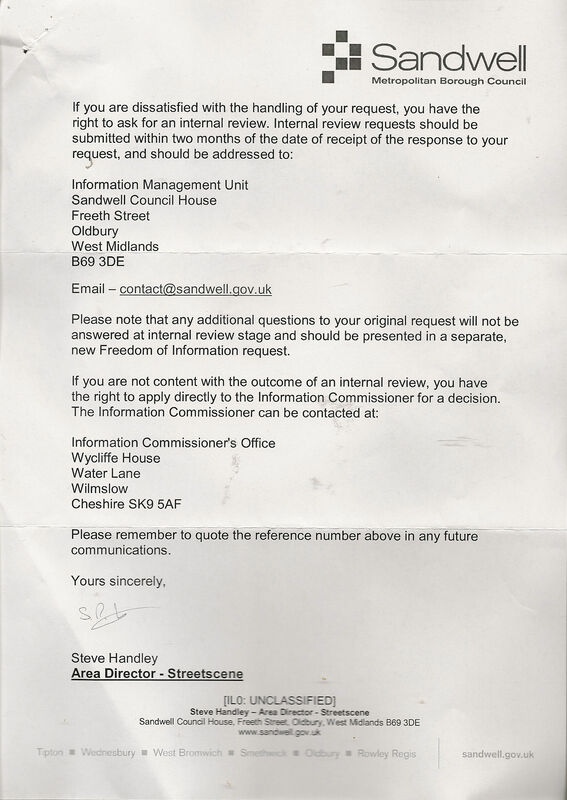 We just wanted Sandwell council to admit the lies that they and their contractor had initially tried to tell. That a Senior officer of Sandwell council with a vested personal interest in Victoria Park Tipton also lied to me both directly to my face and several times when questioned on the phone to which he ended by putting the phone down on me, reveals both his cowardice and the fact that he is also a liar. Any cabinet briefing would have been carried out by this same biased officer whom it seems has both a personal phobia and hatred towards this species that have lived happily there longer than he has. The response in question 2 unhelpfully does not refer to a public document which can be viewed but a series of payments with redacted information. We can find no payment or mention of PESTEX at the link given, nor the budget for parks and countryside revenue. There is no breakdown of any payments made under the “street scene” spend either – Steve Handley being the director of this department. Indeed this link is just another wild goose chase. They again refer to the briefing but I do not believe that they are disclosing the truth when they claim that no communication other than this exists. What about the tendering process of choosing this company, or are there some relationships or connections to Sandwell council here? In question 3 we get the blunt truth, and the end to the lies of “relocation”. Why are guidelines always “strict” when it comes to defending murder of wildllife? What evidence do the council possess that it was strictly carried out, and by what method was it carried out? Were they shot one by one out of sight of the flock, gassed, did they have their necks broken by a group of thugs who rounded them up? This is detail that Sandwell councillors like Crompton wash their delicate little hands of. No doubt they also feed their own animals without the thought weighing on their minds, then read bedtime stories to their children or grandchildren with pretty pictures of birds and animals – but not the cold reality in these stories of how verbally they gave approval to murder defenceless birds in the real world that could not escape. Natural England require the applicant for a general licence to explain what type of licence they need to apply for when scrutinised. We doubt if this briefing ever got this far, indeed when questioning Satchwell last year he stated “we don’t need a licence”- this was to relocate them, which proves just how little he knows about the entire process. We do not grant licences for the relocation of Canada geese and there is a presumption against issuing licences to relocate Canada geese in the foreseeable future. We have not issued a licence in relation to the details you have given. Under the Wildlife & Countryside act it would be considered an offence to release Canada geese into the wild, as they are a Schedule 9 species. This means that if they were captured it would then be illegal to then re-release them. CHANGE OF PLAN, NEXT STOP SANDWELL VALLEY? 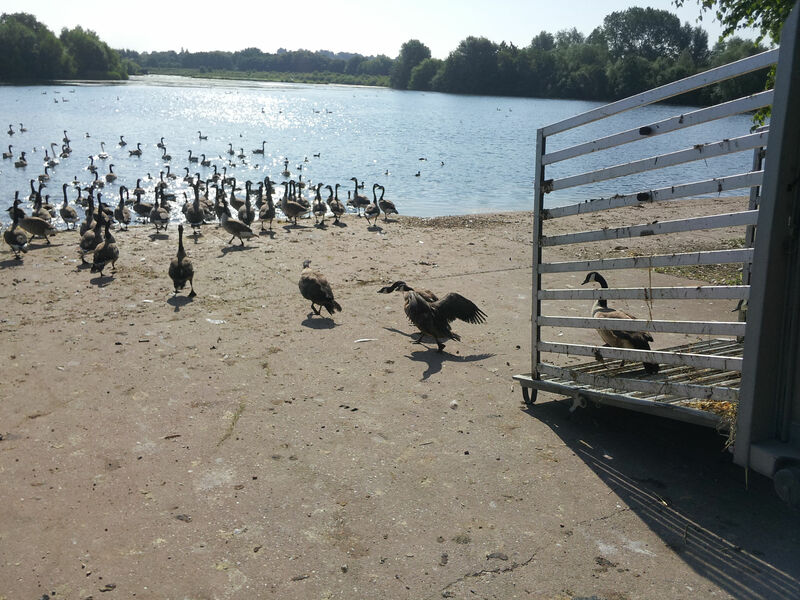 Below are pictures received from a Sandwell council officer last year at Forge Mill Lake, West Bromwich -whom I asked to prove to me that the geese had been “relocated” to The Sandwell Valley, as instructed by John Satchwell and PESTEX- AFTER I HAD INTERCEPTED THEIR LITTLE ROUNDUP. 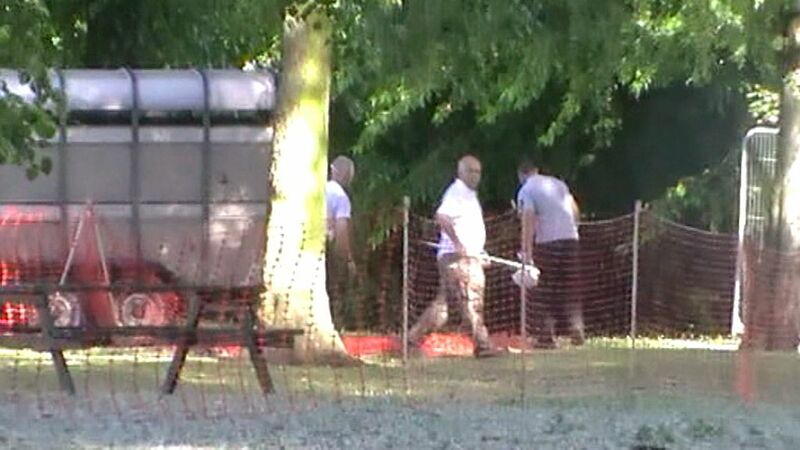 SO WERE THEY ROUNDED UP AGAIN AND EXTERMINATED AT THE SANDWELL VALLEY AFTER THEY HAD BEEN RELOCATED AND RELEASED? PESTEX’S business is one of extermination and it seems not very convincing deception. We would urge anyone who encounters them to ask questions, do not co-operate with them if they try to get you to feed the birds towards them, disrupt their activities and chase any birds they are after into the water and away from their death traps. This council, Sandwell, are a Labour council in power, which reveals what they would do in power nationally. They are hypocrites, liars and have a perversion for keeping things in the family and looking after their own cronies, as they themselves grow ever fatter in stature. They also don’t like being caught out, and on this point they have seriously underestimated a master at work. 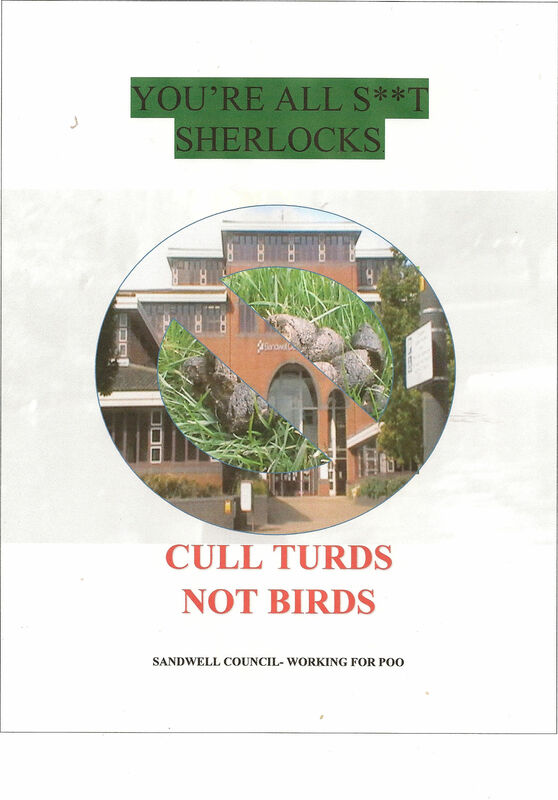 I will be referring a complaint to Natural England as to how Sandwell council broke the law in an attempt to deceive a member of the public who questioned their activities that were never briefed professionally on in the first place. We regret, and I regret that I was not able to stop PESTEX and Sandwell council this year. They will not get away with this murder, and it will be made public knowledge about what they have done, with all the personal criticism and scrutiny that they would not want when they tried to hide their actions from public knowledge. On every count regarding their allegations of Canada geese, we can refute and will refute their bigoted, misinformed and misguided views which are not facts substantiated with any personal experience or scientific evidence. This didn’t get to the cabinet briefing, there was only a one sided lie presented by a bare faced liar. Like I said John- you were lying and I could tell it in your voice.